From the Archive: Memorial Day should be a time of sober reflection on war’s horrible costs, not a moment to glorify war. 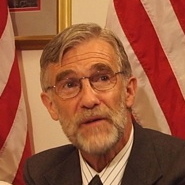 But many politicians and pundits can’t resist the opportunity, as Ray McGovern explains in this updated commentary from May 24, 2015. How best to show respect for the U.S. troops killed in Iraq and Afghanistan and for their families on Memorial Day? Simple: Avoid euphemisms like “the fallen” and expose the lies about what a great idea it was to start those wars in the first place and then to “surge” tens of thousands of more troops into those fools’ errands. First, let’s be clear on at least this much: the 4,500 U.S. troops killed in Iraq so far and the 2,350 killed in Afghanistan [by May 2015] did not “fall.” They were wasted on no-win battlefields by politicians and generals cheered on by neocon pundits and mainstream “journalists” almost none of whom gave a rat’s patootie about the real-life-and-death troops. They were throwaway soldiers. And, as for the “successful surges,” they were just P.R. devices to buy some “decent intervals” for the architects of these wars and their boosters to get space between themselves and the disastrous endings while pretending that those defeats were really “victories squandered” all at the “acceptable” price of about 1,000 dead U.S. soldiers each and many times that in dead Iraqis and Afghans. Memorial Day should be a time for honesty about what enabled the killing and maiming of so many U.S. troops in Iraq and Afghanistan. Presidents George W. Bush and Barack Obama and the senior military brass simply took full advantage of a poverty draft that gives upper-class sons and daughters the equivalent of exemptions, vaccinating them against the disease of war.